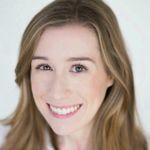 The winter months are the least popular time of year to get married, but in reality, winter weddings are seriously underrated. 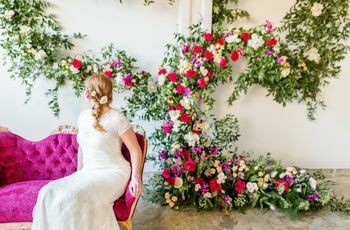 Think about it: the entire season is filled with a sense of enchantment and magic (especially when it snows), and it's also filled with holidays, which can bring an added sense of 'togetherness' to your big day. If you're getting married during this season, choosing the right winter wedding colors is an important part of your planning process. 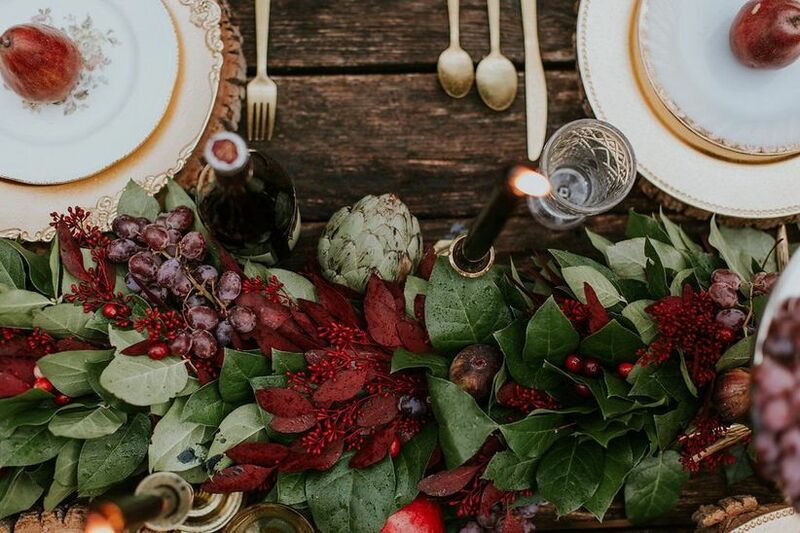 Whether you're envisioning a holiday-themed wedding or looking for alternative inspiration, we've hand-picked some of our favorite winter wedding color palettes to get you started. 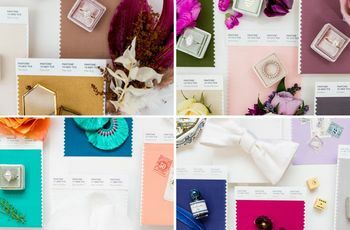 But if you want to try your own hand at creating the perfect wedding color palette, check out the WeddingWire Color Palette Generator for personalized ideas! Ready to choose your winter wedding colors? Take a peek at these details. An all-white wedding is reminiscent of chilly winter temps — or maybe a snow-covered landscape. Either way, this monochromatic palette is modern, clean, uncomplicated, and surprisingly luxurious. But don't confuse that with being boring! By using only white tones for your winter wedding colors, you can focus on incorporating lots of different textures so that the colors don't fall flat. Combine different fabrics, plants, and greenery to add dimension. 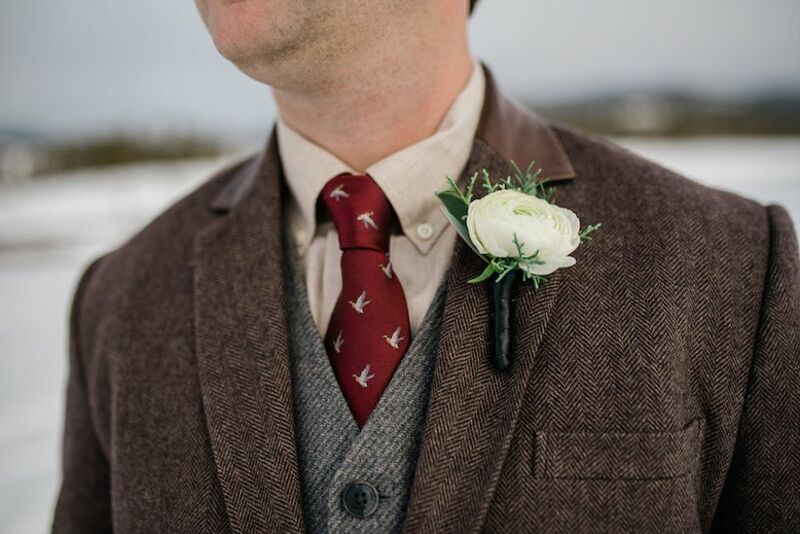 Red and brown are a perfect match for a rustic winter wedding. When using these colors, add bursts of white or lighter hues to prevent your palette from feeling too gloomy or drab. For an ethereal winter wonderland vibe, silver and blue are an excellent duo. 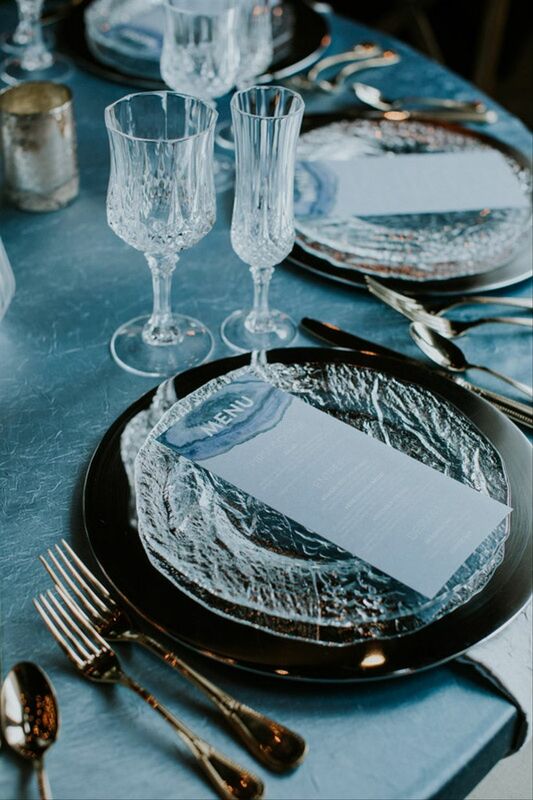 They'll bring a contemporary feel to your wedding decor and are ideal for incorporating trendy touches, like this geode-inspired wedding menu. When used as accents, metallic wedding colors can instantly elevate your decor. But with a palette comprised entirely of metallics, you'll create an ultra-festive setting. 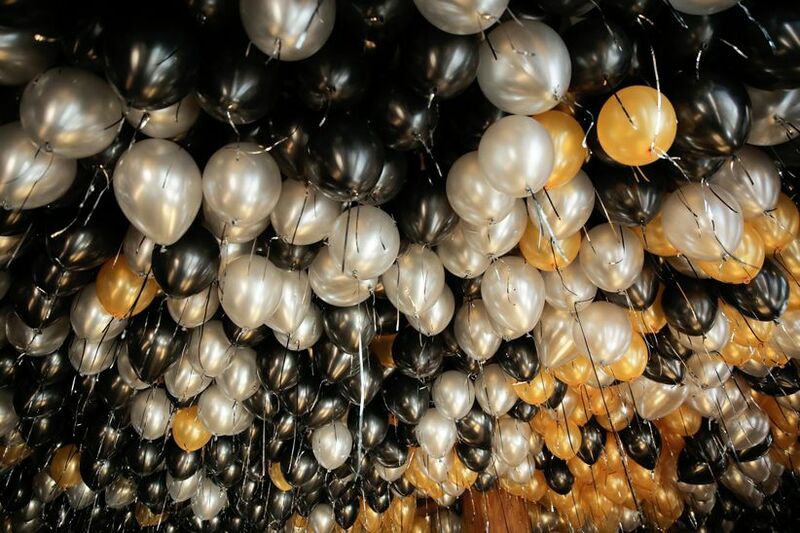 Pair metallic gold and silver with dramatic black for a New Year's Eve wedding. If you're looking for non-traditional winter wedding colors, we think you'll love this stylish trio. A color palette of purple, gray, and green is earthy and a bit bohemian, especially when you incorporate succulents and other woodland-inspired accents. 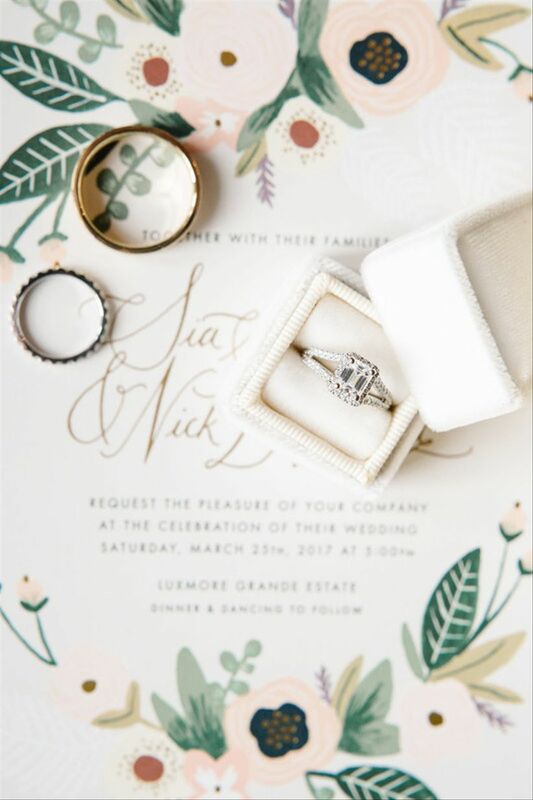 This sweet wedding color palette is a winterized version of the popular blush and eucalyptus combination that is everywhere come spring and summer. 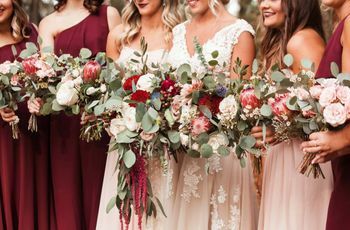 By using slightly darker tones — mauve instead of blush and jade green instead of eucalyptus — these colors feel less "springtime soirée" and more "winter romance." Add hints of rose gold for warmth and sparkle. Name a more iconic winter wedding duo, we'll wait. 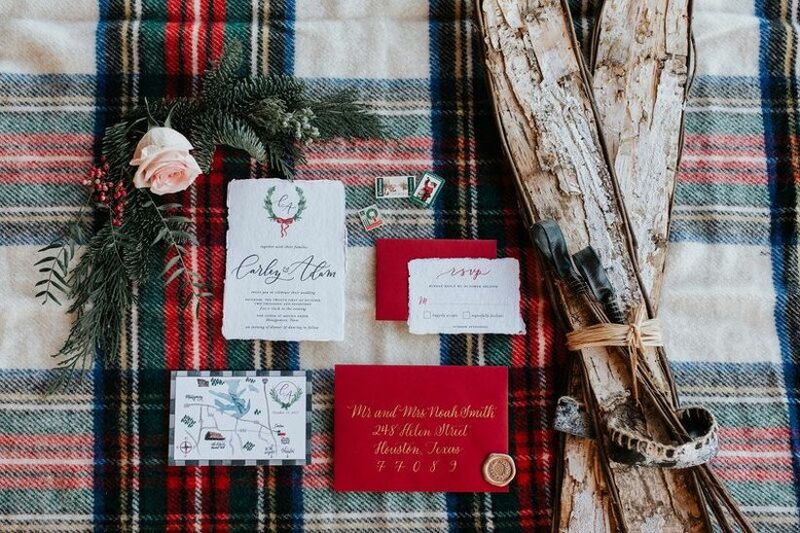 Red and white are perhaps the most classic winter wedding colors of all time, and for good reason. 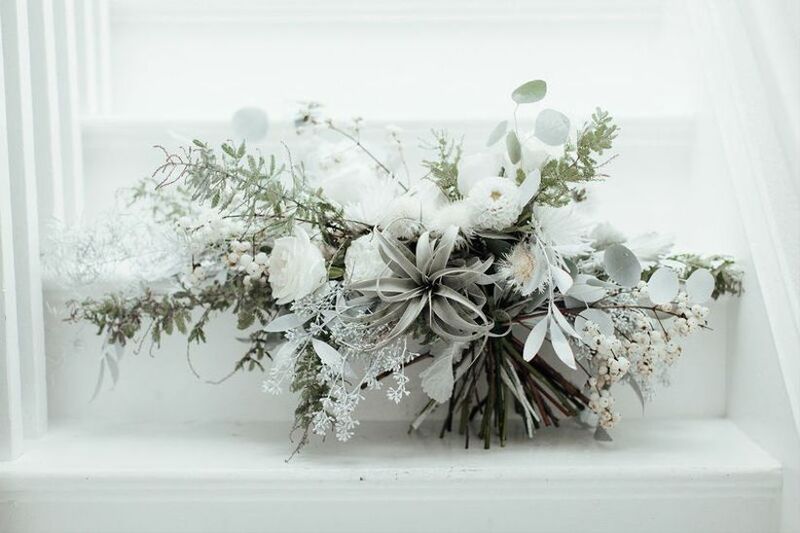 They're synonymous with the holiday season and will instantly bring a sense of wintry cheer to your wedding decor. The trick to using these colors in a tasteful way is keeping the actual holiday decor to a minimum (save the reindeer, snowflakes, and Santa figurines for another day!). 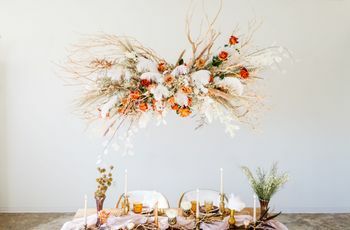 The colors alone will be enough to give your wedding all the Christmas-y vibes. Plaids, fresh evergreens, and metallic accents are all excellent decor pieces for this type of palette. For a wedding that's glimmering and gleaming, dress your venue in colors of green, ivory, and gold. 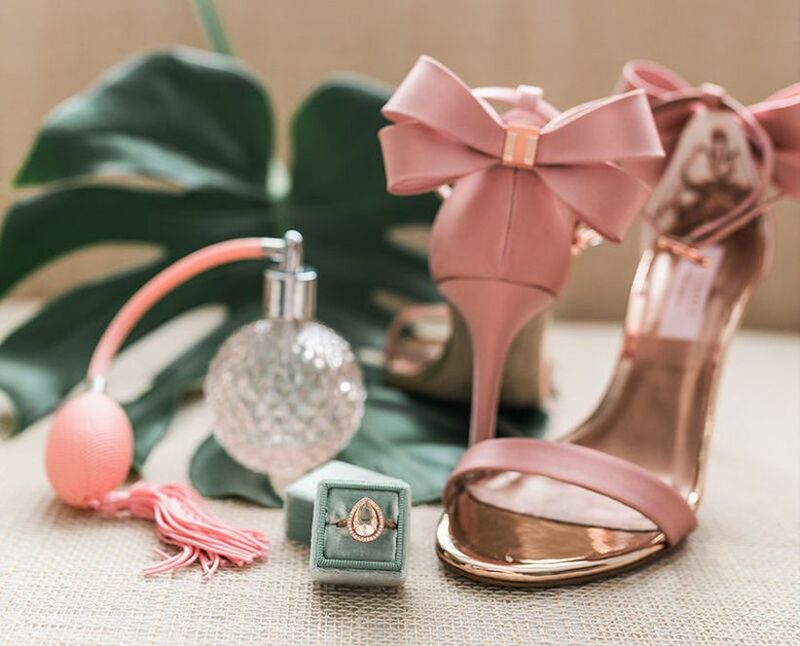 This effortless wedding color palette is one of the most timeless options for your big day. In contrast to the bright shades of emerald and neon green that can be found all over the place during the holiday season, we love these more muted winter wedding colors. Moss and olive green fit into a wintry aesthetic without being over-the-top seasonal. 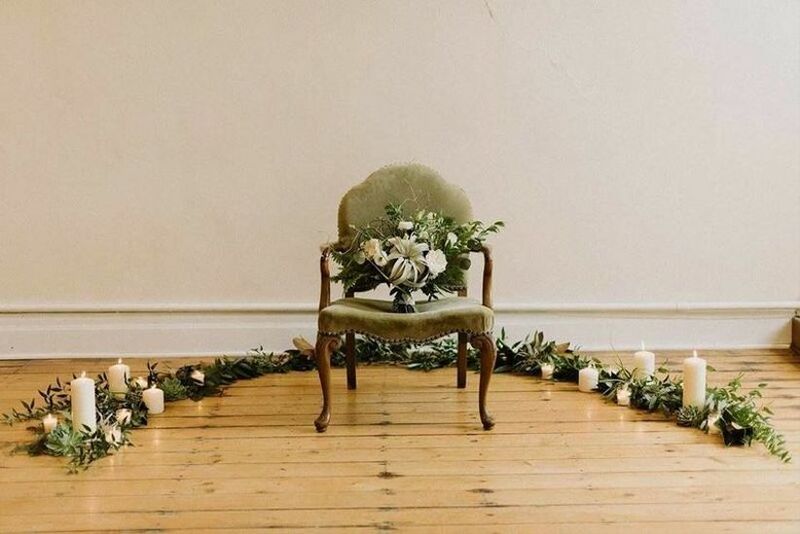 These colors are also ideal if you're going for a vintage wedding theme, since they pair beautifully with candle decor, antiques, and dark wood. Dark purple and champagne will bring the luxe factor to a glamorous event! Purple is a naturally regal color, and it becomes even more opulent when you pair it with shimmering champagne and gold tones. 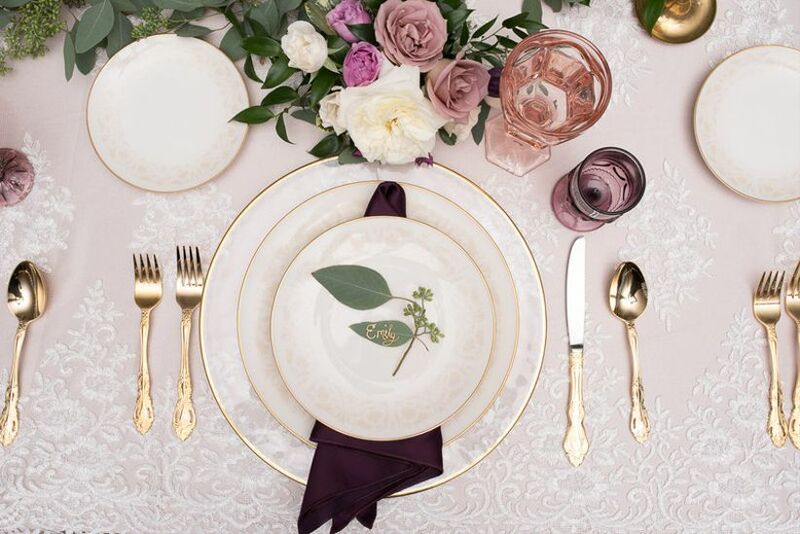 Incorporate bits of gold through your flatware, place settings, and other tabletop decor. For a color palette that's both on-trend and chic, try copper, gray, and cream. 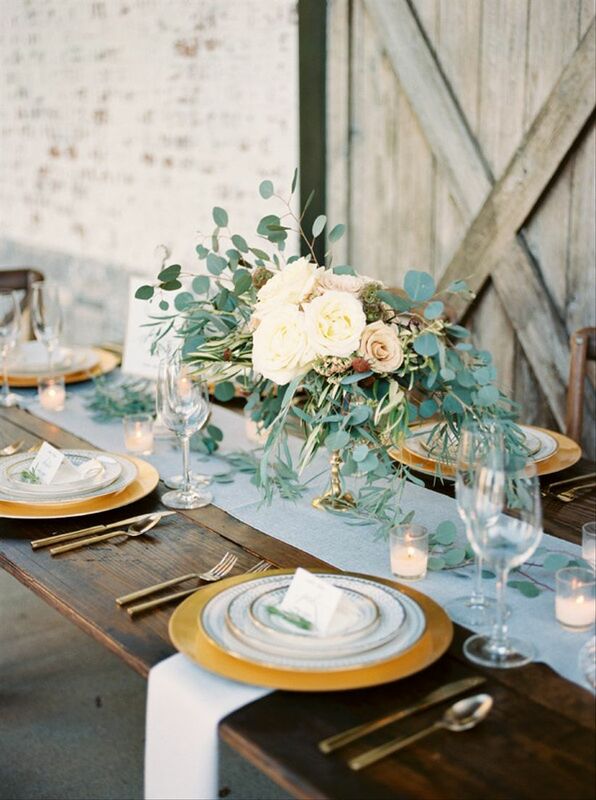 This almost-neutral palette works for a variety of wedding styles, whether you're hosting an upscale ballroom event or a laid-back barn wedding. This is similar to an all-white palette, but not quite as stark. By pairing blush and various shades of green with white and ivory tones, you'll achieve an aesthetic that's airy, soft, and romantic. 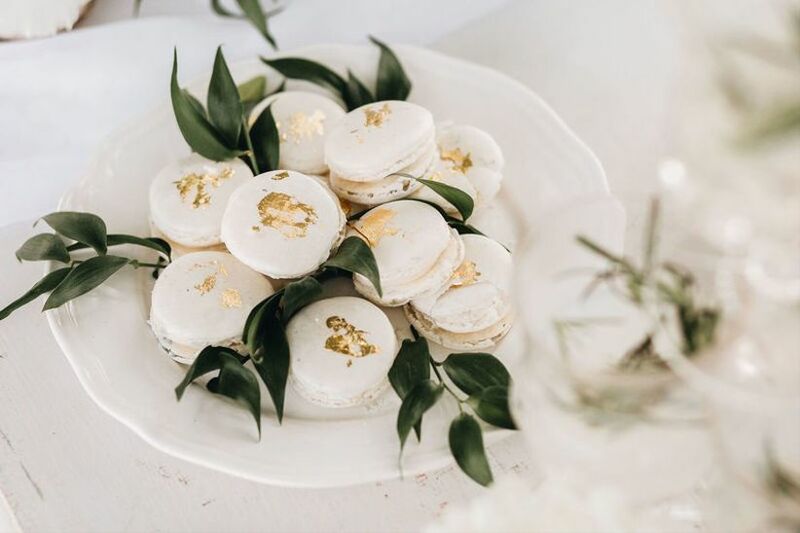 Pastels like pale blue are traditionally associated with spring weddings, but when paired with dark wood accents and rich gold details, this dreamy color feels totally cold-weather appropriate. Feeling a bit edgy? 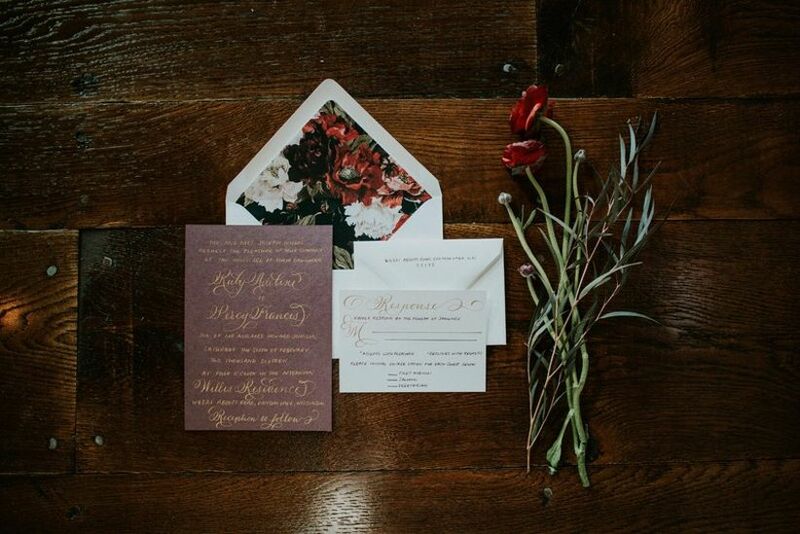 Moody wedding colors are one of our latest obsessions. 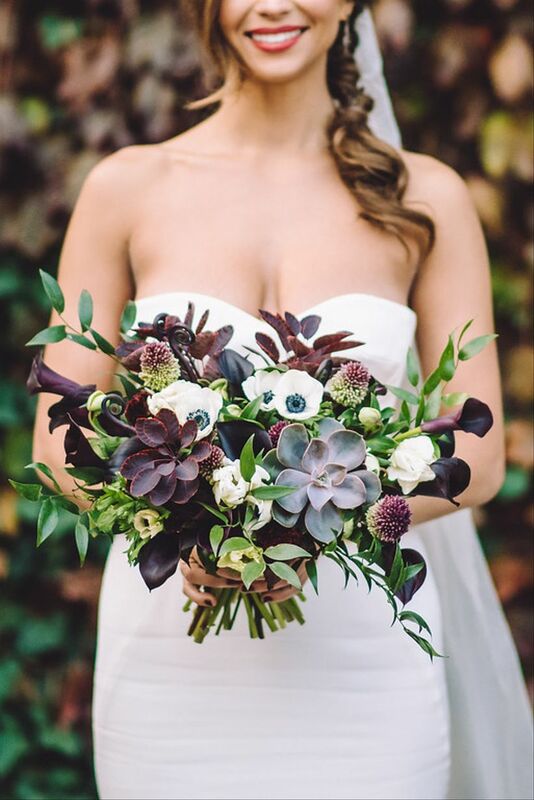 Dark colors, such as burgundy, plum purple, and black will bring a sense of drama and mystery to your big day. The end result is hauntingly beautiful and a little bit gothic! 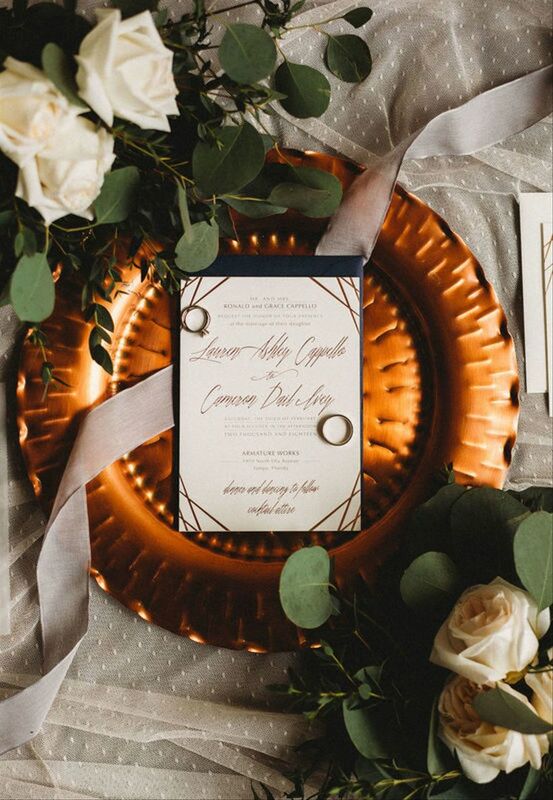 Serve up all the cozy hygge vibes at your wedding with a blush and caramel color palette. 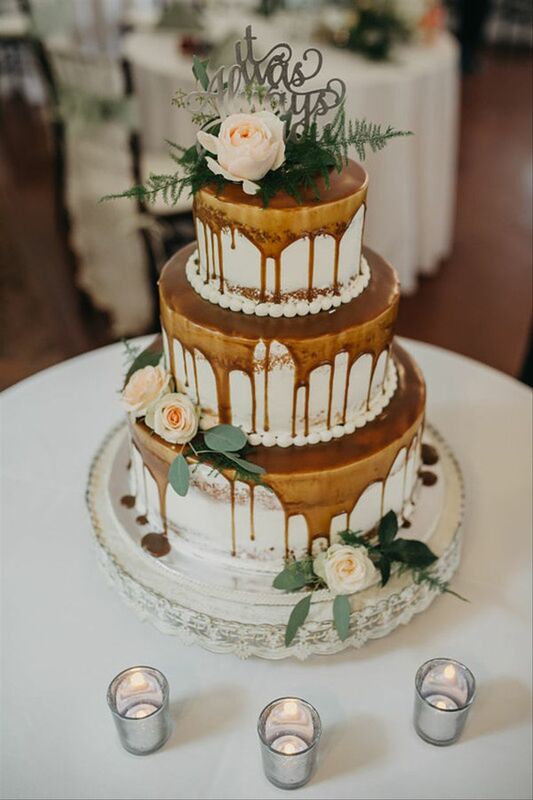 A few ways you can incorporate this warm brown hue into your big day: wood plate chargers, dyed silk bouquet ribbons, a faux fur wrap, upholstered rental furniture, and a drip cake. 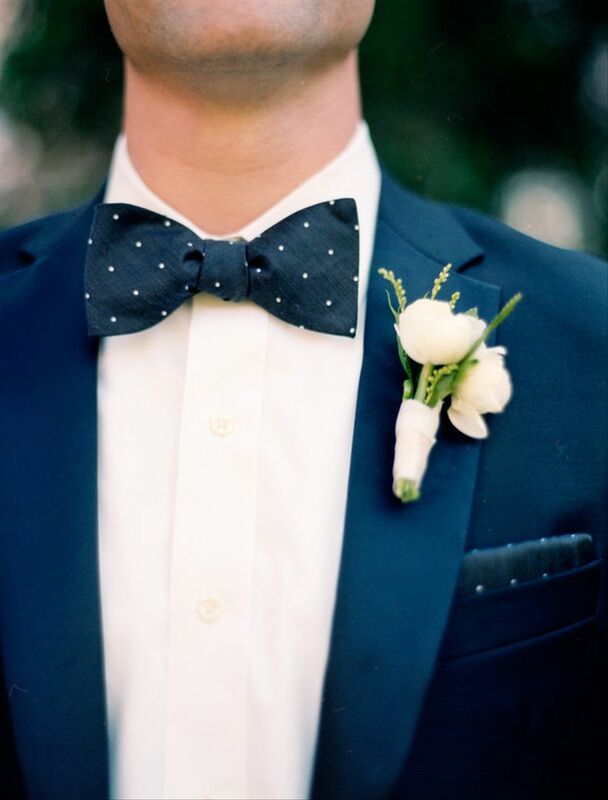 Black and white is a go-to combo if you're hosting a formal winter wedding, but we love navy blue and white just as much! These sophisticated winter wedding colors are also some of the most universally flattering.